關於伂橙 ABOUT PEI CHEN 伂橙為專業茶暨飲品原物料廠，擁有強 大 茶 品 專 業 研 發 團 隊 ， 國 際 級 的 調 配 及 焙 茶 水 準 ，提供高品質穩定風味的世界各地特色 茶 ， 並 運 用 沖 泡 技 術 的 創 新 與 飲 品 調 配 的 創 意 ， 提供茶飲技術指導課程。 伂橙對品質的堅持，除了安心原料外， 更 力 求 創 新 及 客 戶 滿 意 ， 深 獲 國 際 知 名 連 鎖 餐 飲 事業、流行外帶茶飲及國際品牌代工等 通 路 肯 定 ， 為 客 戶 指 名 最 優 質 的 合 作 夥 伴 。 Since 1991, Pei Chen has grown into a leading manufacturer in tea and beverage materials, supplying premium tea-related products to chain stores worldwide. Using safe tea sources from our contractual farms, our R&D team relentlessly develops and creates custom and innovative formulations. Moreover, with advanced tea roasting and blending skills, we proudly provide our global partners the most unique and flavorful teas with consistent qualities. We also offer comprehensive tea-making courses to help our partners succeed in this highly competitive industry. No matter what your business models and channels are, we will have the right products and services just for you. Superb Quality, Professionalism, and Customer Satisfaction; Sustainability Management. Credibility and Honesty, Enthusiastic Attitude, Innovative Techniques, Effective Teamwork, Comprehensive Services. 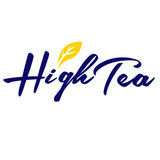 We strive to develop a modern and fashionable tea brand and create a win-win situation for our team and partners. PEI CHEN strictly implements “Hazard Analysis Critical Control Plan”. With worldwide contractual tea farms and multiple third party inspections on each batch, we ensure our partners experience the highest quality and satisfaction. Our industry-leading R&D team continuously develops innovative and flavorful tea recipes that will attract more eyeballs and take your business to the next level. With the combination of advanced equipment, professional roasting and blending skills, and innovative formulations, our self-owned factories will constantly bring the best tea products to the table. Pei Chen always stands behind our products and supports our partners along the way. 茉香綠茶葉0301C Jasmine Green Tea Leaf 0301C 600g/Bag；36Bags/Ctn. Solid tea taste, significant flower fragrance, strong and unique. Steam fixation sencha tea with sugarcane and flower fragrance. 650g(13gx50Pcs. )/Bag；20 Bags/Ctn. 自然蜜香口味，香氣獨特。 Natural, unique honey scent. Selected high mountain oolong tea (altitude above 1,000m) with significant flower fragrance. Unique citrus, bergamot aroma, elegant and refreshing. Solid heavy fermentation tea aroma, can be used to make a cup of perfect fresh milk tea. Fine green tea fumigated with jasmine for 3 times. Significant Jasmine fragrance. Romantic Ballet (Raspberry & Rose Oolong Tea Leaf) 400g/Bag；20 Bags/Ctn. Wonderland (Darjeeling Black Tea Leaf) 350g/Bag；20 Bags/Ctn. Darjeeling black tea mixed with osmanthus's aroma,which brings the flavor to higher level. Stringently selected Taiwan oolong tea perfectly mix with berries, slightly sour flavor with nice tea aroma. Tropical Paradise (Mixed Fruits Oolong Tea Leaf) 500g/Bag；20 Bags/Ctn. Firefly (Osmanthus Rooibos Tea Leaf) 500g/Bag；20 Bags/Ctn. Stringently selected honey oolong tea and Taiwan four seasons oolong tea blended with herbs and fruit, unique tropical fruit aroma. Perfect combination of Rooibos tea and osmanthus. natural sweet and flower aroma. Plentiful Harvest (Golden Buckwheat Green Tea Leaf) 450g/Bag；20 Bags/Ctn. Stringently selected steamed green tea and buckwheat, fully aroma of buckwheat's grain & sugarcane. Apple Theme Park (Apple Rooibos Tea Leaf) 500g/Bag；20 Bags/Ctn. Rooibos tea blended with apple and cinnamon aroma, perfectly present the taste of applepie. Stringently selected Sri Lanka black tea. Wine-red color of tea soup, strong aroma of tea and flower. Stringently selected Jinxuan oolong tea from Ali Mountain in Taiwan, smooth taste with unique flower and milk aroma. Handpicked one-tip two-leaf luxury tea with natual ripe fruits and longan aroma. Stringently selected high mountain oolong tea from Xingyi area of Nantou in Taiwan. Strong fruity honey and flower aroma. Stringently selected black tea from high altitude mountain in Sri Lanka. Natural aroma of honey and flower. Blended with blueberry and mixed berry, rich blueberry aroma. 500g/Bag；20 Bags/Ctn. Stringently selected black tea from high mountain, mild flower and fruit aroma. Blended with various fruits, mild sour taste with natural fruit aroma. Stringently selected from Elam, Nepal, SFTGFOP-first grade black tea with unique flower and fruity muscat grape aroma. Combination of respberry, lemongrass, rosa canina and herbs. ,Smooth taste with slighty sour and sweet. Stringently selected Sri Lanka black tea with tantalizing bergamot aroma. Stringently selected Sri Lanka black tea blended with rich citrus and orange aroma. Stringently selected from high altitude mountain in Sri Lanka. Slightly sugarcane aroma. Selected from East Africa's high mountain area with rainforest alliance certification,natural aroma of flower, sugar and nuts. Stringently selected black tea mixed with fruit and herbs, natural and unique flavor. Organic green tea selected from Central Mountain of Sri Lanka with elegant aroma of tea and sugarcane. Stringently selected assam black tea with fruit, sugar aroma. Perfect choice for milk tea. Stringently selected from Elam, Nepal SFTGFOP-1 grade black tea with unique flower and muscat grape aroma. Stringently selected green tea and Pouchong tea mix with Elegant chamomile and citron aroma. Organic black tea selected from Central Mountain of Sri Lanka with significant flower and sugar aroma. Combination of japanese brown rice and sencha green tea, bright color of tea soup, naturaly strong and charming buckwheat aroma. Stringently selected black tea mixed with tantalizing smell of toffee. 250g(2.5gx100Pcs.)/Bag；20Bags/Ctn. Stringently selected from high altitude mountain in Sri Lanka, mixed with bergamot, charming aroma. Lightly roasted oolong tea with sunflower aroma mixed with peach. Stringently selected Taiwan oolong tea be fumigated with lychee aroma. Stringently selected red jujube, pearl barley and rose, charming aroma and sweet taste. Stringently selected Taiwan burdocks, astragali radix, wolfberry and jujubes, healthy tea made by natural elements. Caffeine free rooibos tea with natural sugar aroma. Rooibos tea's perfect combination of buckwheat, brown rice. Multiple layers of taste. Stringently selected Brasil mate tea blended with citrus and liquorice. Delicious and refreshing taste. 100% Taiwan Buckwheat with rich grain aroma, caffeine free, contain a lot of healthy elements. 覆盆子萊姆果味茶包 Raspberry & Lime Fruit Tea Bag 500g(5gx100Pcs.)/Bag；20Bags/Ctn. 精選莓果、檸檬草、薔薇果等花草水果調配而成，風味濃厚， 酸甜順口。 Combination of raspberry, lemongrass, rosehip and herbs. Slighty sour and sweet, smooth taste. Stringently selected roselle, rose and hawthorn and herbs. Smooth taste of sour and sweet. 悠活舒緩茶包 Comforting Herbal Tea Bag 100g(2gx50Pcs.)/Bag；20Bags/Ctn. 精選薄荷、檸檬草與甘草調製，沁涼清新、自然回甘。 Stringently selected mint, lemongrass and licorice. Mild and comfortable aroma and sweet taste of base notes. 甘菊紅棗茶包 Chamomile & Jujube Herbal Tea Bag 250g(5gx50Pcs.)/Bag；20Bags/Ctn. 精選紅棗、蘋果肉、枸杞、洋甘菊搭配而成，溫和香氣，甘甜微酸。 Stringently selected red jujube, apple, Wolfberry and Chamomile. Sweet aroma with lightly sour taste. 200g(4gx50Pcs.)/Bag；20Bags/Ctn. 精選黃耆、人蔘、白朮、枸杞等成分，以專業漢方比例調配的養生茶品。 Stringently selected astragali radix, ginseng, wolfberry…etc. Healthy tea professionaly blended by Chinese method. Stringently selected red jujube, Wolfberry professionaly blended by Chinese method, sweet taste. Golden Buckwheat Matcha Powder 500g/Bag；20Bags/Ctn. Pure Matcha Powder 450g/Bag；20Bags/Ctn. The best quality, pure matcha powder. Can have great taste with just small amount. High quality matcha combined with Taiwan buckwheat, no sugar and creamer. Natural and healthy. 3 in 1 Red Beans & Jujube Matcha Powder 1000g/Bag；20Bags/Ctn. 2 in 1 Matcha Powder 500g/Bag；20Bags/Ctn. Easy to make a good drink. Can be perfectly matched with milk. Matcha powder which is able to taste delicious jujube and full of red beans. 2 in 1 Premium Matcha Powder 500g/Bag；20Bags/Ctn. Made from premium quality gyokuro green tea with beautiful green color and fine aroma. Perfect blend of matcha and milk aroma. Can be used to make a cup of tasty chocolate drink with proper thickness. Just perfect milk and sugar, upgrade the taste of cocoa to a better level. 3 in 1 Dark Cocoa Powder 1000g/Bag；20Bags/Ctn. Black sesame blend with black beans powder and matcha powder; rich and great aroma. The perfcet golden ratio of cocoa's aroma, thickness, and sweet. 3 in 1 Buckwheat Matcha Powder 1000g/Bag；20Bags/Ctn. 3 in 1 Honey Oolong Tea Powder 1000g/Bag；20Bags/Ctn. Ground by whole piece tea leaves. Healthy golden buckwheat makes the matcha taste even better. 3 in 1 Cocoa Powder 1000g/Bag；20Bags/Ctn. Brown rice blend with black beans powder and matcha; full of grain aroma. 2 in 1 Cocoa Powder 1000g/Bag；20Bags/Ctn. Pure high quality cocoa powder imported from Europe. (Contains over 22% Cocoa butter). Ground by whole piece tea leaves. Simply mix with ice milk or ice water, and you will have this sweet and smooth cream foam in seconds; no extra sugar needed. Healthy, refreshing berry flavor which is loved by everyone, caffeine free. The combination of Coffee and Cocoa. The best material for making smoothie. Selected black sesame, wheat germ, black beans, oats. Rich taste with great aroma. Pei Chen's unique product. With rich milk aroma, smooth taste ; it upgrades milk tea's taste to another level. Golden Buckwheat & Purple Potato Powder 500g/Bag；20Bags/Ctn. Natural purple potato combined with buckwheat. This non-dairy creamer has thick milky flavor and will take your milk teas to the next level. The milk content of 2.8% meets the import standards of the United States, Canada, and Australia. Can’t be used alone. Needs to be used together with Thai Tea Bag. Can be used to make various of flavor of jelly. 3 in 1 Caffè Mocha Smoothie Powder 1000g/Bag；20Bags/Ctn. Made from pure matcha powder. Significant tea aroma and great taste. Smooth milk pudding with egg aroma. The perfect partner of tea. Easy to be used to make refreshing , tasty milk cream foam. Add cocoa, matcha or cheese to create more flavors. 建議搭配泰式風味粉，風味色澤更佳。 Needs to be used together with Thai Tea powder to enrich the flavor and beautiful color. 薔薇果漾茶包 Rosehip Fruit Tea Bag 400g(20gx20Pcs. )/Bag；20 Bags/Ctn. Citrus, Nuts, Flower, Dark Chocolate, Refreshing Taste. Rich passion fruit flavor with pineapple pulp.The best material for making all kinds of Fruit tea. Doesn't contain any spice, pigments, preservative. Supervise by brown sugar master; slow stew.No artificial additives; unique cream and caramel aroma. Contains pineapple, pear, passion fruit, tangerine, apple. Doesn't contain any spice, pigments, preservative. Made with pure brown sugar and natural ingredients; rich and clear caramel aroma. High-temperature sterilization; no preservatives. Selected Taiwan pineapple, can taste the pulp and its pure flavor. Doesn't contain any spice, pigments, preservative. Sealed in high-temperature sterilized packages. No pigments, artificial flavors, or preservatives; this Taiwanese Passion fruit has a strong aroma and a rich sweet and sour taste. Specially selected from Jiaxian; these green plums have natural plum aroma and sweet and sour tastes without bitterness. No pigments, artificial flavors, or preservatives. Perfectly match with drinks and salads. 採韓國「全羅南道」最優質柚子，蜂蜜醃製，不含防腐劑。 Selected Korea's best citron from "South Jeolla Province". Pickled by pure honey, doesn't contain preservative. Made from Taiwan sugarcane sugar. Beautiful amber color, stable quality. Good quality,can add into beverage enrich the flavor. Pure brown sugar from Baoshan Township in Hsinchu, perfectly enhense the flavors of hot/cold beverages. Strict selection of Taros from Pintung & Dajia then diced and marinated by sugar. Packaged after high temperature sterilization, no preservatives. It has dense and solid taste. Cooked with sugar, sealed after high temperature sterilization. Free of preservatives, showing the simple but rich aroma. Suitable for adding to a variety of teas. Selected high-quality mung beans, high-pressure steamed and hightemperature sterilized package, solid and full grain, excellent taste, no preservatives. 1kg/Bag；20Bags/Ctn.；MOQ:20Ctns. 選用完整飽滿的燕麥粒製成，以高溫殺菌封裝，不含防腐劑，顆粒均勻 、香甜美味有嚼勁。 Made from whole oatmeal, with high-temperature sterilized package, contains no preservatives, even particles, sweet and delicious. Beautiful golden crystal color with chewy texture. 仙草味濃郁，口感較嫩，可做燒仙草、仙草凍、仙草干茶等。 耐高溫PP瓶高溫殺菌充填，不添加防腐劑，有別於市售鐵罐裝存放後 易有鐵鏽味。 Rich and refreshing mesona aroma. Soft and smooth textures. Store in high-temperature resistance and sterilized PP bottles; no preservatives. Hand-picked green plums from Jiaxian Mountain. No pigments, artificial flavors, preservatives, or saccharin. Enjoy these tasty green plums directly or add to tea. Rich and refreshing mesona aroma. Chewy texture,Store in high-temperature resistance and sterilized PP bottles; no preservatives. Passion Fruit Flavored Popping Boba 3.4kg/Drum；4Drums/Ctn.；MOQ:1Ctn. Mango Flavored Popping Boba 3.4kg/Drum；4Drums/Ctn.；MOQ:1Ctn. Kiwi Fruit Flavored Popping Boba 3.4kg/Drum；4Drums/Ctn.；MOQ:1Ctn. Greening Apple Flavored Popping Boba 3.4kg/Drum；4Drums/Ctn.；MOQ:1Ctn. Pomegranate Flavored Popping Boba 3.4kg/Drum；4Drums/Ctn.；MOQ:1Ctn. Strawberry Flavored Popping Boba 3.4kg/Drum；4Drums/Ctn.；MOQ:1Ctn. Blueberry Flavored Popping Boba 3.4kg/Drum；4Drums/Ctn.；MOQ:1Ctn. Cherry Flavored Popping Boba 3.4kg/Drum；4Drums/Ctn.；MOQ:1Ctn. Lychee Flavored Popping Boba 3.4kg/Drum；4Drums/Ctn.；MOQ:1Ctn. Pineapple Flavored Popping Boba 3.4kg/Drum；4Drums/Ctn.；MOQ:1Ctn. Passion Fruit Flavored Coconut Jelly 3.85kg/Drum；4Drums/Ctn.；MOQ:63Ctns. Mango Flavored Coconut Jelly 3.85kg/Drum；4Drums/Ctn.；MOQ:63Ctns. Strawberry Flavored Coconut Jelly 3.85kg/Drum；4Drums/Ctn.；MOQ:63Ctns. Lychee Flavored Coconut Jelly 3.85kg/Drum；4Drums/Ctn.；MOQ:63Ctns. Pineapple Flavored Coconut Jelly 3.85kg/Drum；4Drums/Ctn.；MOQ:63Ctns. Blueberry Flavored Coconut Jelly 3.85kg/Drum；4Drums/Ctn.；MOQ:63Ctns. Grapefruit Syrup (with Pulp) 2.5kg/Jar；6Jars/Ctn. Kumquat & Lemon Syrup 2.5kg/Jar；6Jars/Ctn. Strawberry Syrup (with Pulp) 2.5kg/Jar；6Jars/Ctn.